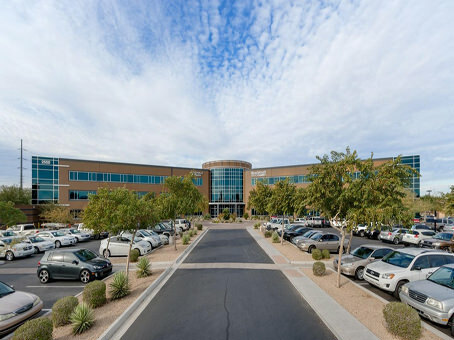 Our Phoenix office is conveniently located off the I-17 freeway, just south of the AZ-101 in the Union Hills Office Plaza. Exit 214A-214B from I-17 N towards W Union Hills Drive. Turn right on W. Union Hills Drive. Turn left on N 24th Drive (0.17 mile). Make a left turn into the parking lot from N 24th Drive. Take the Yorkshire Drive exit (Exit 214A-B), toward Union Hills Drive. Stay straight to go onto N Black Canyon Highway. Turn left onto W Union Hills Drive. Turn left on N 24th Drive (0.23 mile). Make a left turn into the parking lot from N 24th Drive. Take the I-17 exit (Exit 23) toward Flagstaff/Phoenix. Keep right to take the ramp toward 27th Avenue. Merge onto W Agua Fria Freeway. Take the first right onto N 27th Avenue. Turn left onto W Yorkshire Drive. Turn right onto N Black Canyon Highway. Turn left onto W Union Hills Drive. Turn left on N 24th Drive (0.23 mile). Make a left turn into the parking lot from N 24th Drive. Take Exit 24 toward 19th Avenue. Merge onto W Beardsley Road. Turn left onto N 19th Ave. Turn right onto W Union Hills Drive. Turn right on N 24th Drive (0.72 mile). Make a left turn into the parking lot from N 24th Drive. Visitor parking is available onsite from N 24th Drive. Upon arrival, please proceed to reception on the 3rd floor in order to check-in for your appointment.